Just yesterday I wrote about the advantages and disadvantages of Symphony Xplorer W10 Android phone. It’s all about a budget friendly Android smartphone when you can think about the W10. But that’s not the case for W10. It has certainly many things to talk about. Symphony launches Xplorer W50 with W10 and W25, both the devices are a couple of steps behind W50. Symphony Xplorer W50 has an improved 3MP camera compared with W10. Its display is also slightly bigger and better in terms of resolution. It also supports Assisted-GPS as well 3G mobile network. But I am very much disappointed to see that it has the same 800MHz CPU just like Xplorer W10. It also has Android 2.3 Gingerbread built in like W10. That’s understandable, because you can’t expect more from an 10,990 taka (around $130) smartphone. 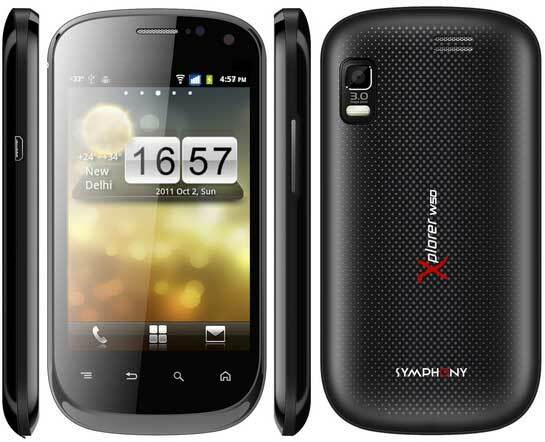 Price of Symphony Xplorer W50 is almost 11,000 taka more than 3,500. But i am very much confused that is this device worth the price tag? May be W10 is better option think. But don't forget about 3G support it has. Government of Bangladesh will permit 3G mobile network within few months. And within 11,000 range its the best Android smartphone you can get anywhere in the world.